In loving memory of Barb (Barbara) Chapman (née Gill) who passed away on March 19, 2019 at the age of 88. Barb is survived by her three children, Scott, Tracey and Ryan, her brothers Jack and David, her two grandsons Nolan and Nathan, and eight nieces and nephews. Barb spent her early years on her family’s farm on the prairies of Manitoba. She moved with her family to White Rock later in childhood and graduated from Semiahmoo High School. Shortly after high school she met and married the love of her life, Buck (Reed) Chapman. They enjoyed over 35 happy years together before his death in 1988. While Buck’s work with the CNR required moving the family to Jasper, Vancouver, and Smithers, Barb always considered Kamloops her home and was happy to move back in 1980. Barb had a big generous heart, loved connecting with people, and always saw the best in everyone. Her greatest delight in life was being a mother and then a grandmother. When her children had moved out on their own, Barb began hosting foreign students who came Kamloops to study at high school and university. She was ‘Canada Mom’ for several dozen students from Spain, Mexico, Japan, Korea, China and the Philippines. 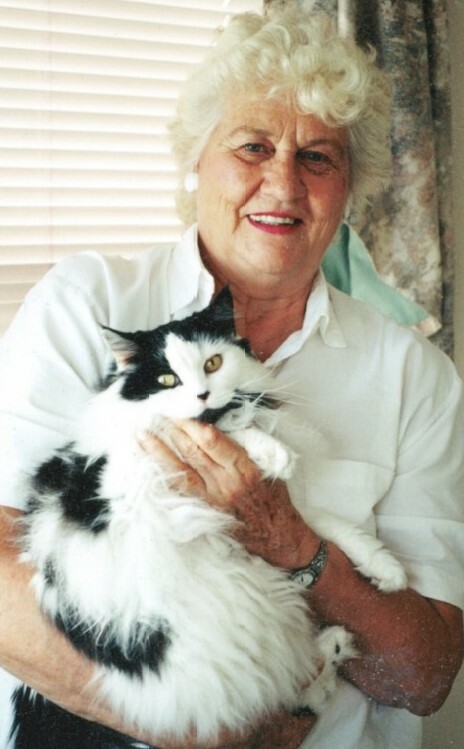 Barb nurturing extended to the animal world and over the years she provided a wonderful home to innumerable dogs and cats, and she enjoyed spoiling them all rotten. The family would like to acknowledge the stellar staff at Brocklehurst Gemstone Care Centre. They provided a comfortable, caring and compassionate home for Barb for six years. No memorial service is planned at this time. If any of Barb’s friends or family wishes to make a memorial gift, she would be delighted if it was to either your local branch of the BCSPCA or to the BC Children’s Hospital Foundation. I’m so sorry to hear of Barb’s passing. She was a great friend to me and is greatly missed. Our sincerest sympathy wishes to all of Barb’s family. She was a wonderful neighbour to us on Fleetwood Place and we missed her greatly when she moved. Such a lovely lady. It was a pleasure to have known her. Sorry to hear of Barb’s passing. She was a wonderful neighbour to me.